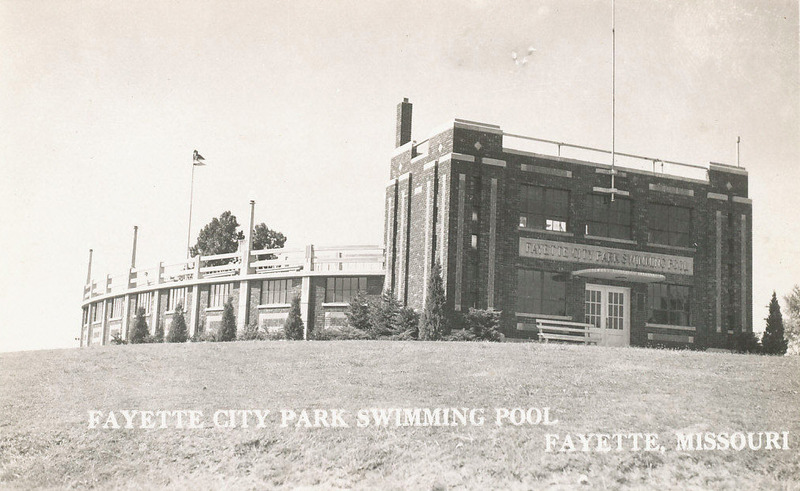 The 1936 Art Deco entry hall to Fayette's City Park swimming pool is a memorial to the Howard County citizens who served in World War I. The oval, above ground pool and the two-story memorial entryway were designed by well-known pool engineer Wesley Bintz. The entry hall was not part of the original design. 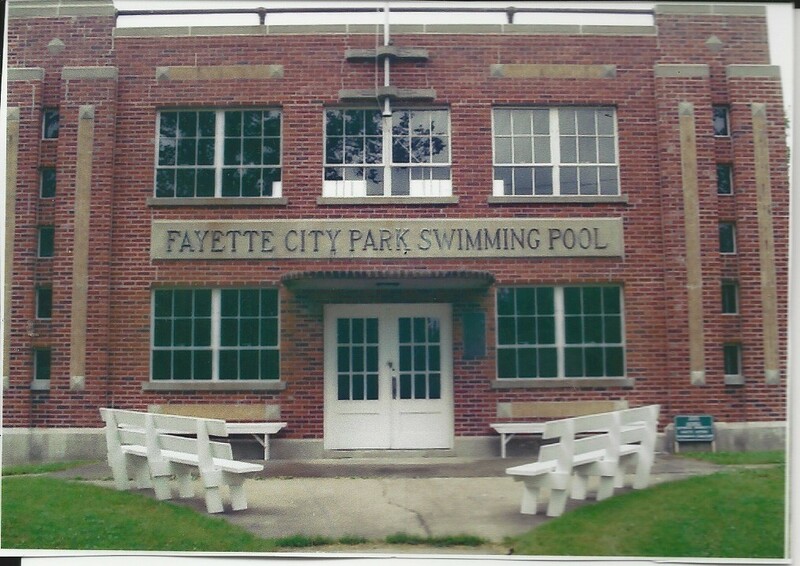 The Fayette chapters of the Daughters of the American Revolution (DAR) and the American Legion asked Bintz to draw up plans for a memorial addition a month after he was hired to oversee the construction of the pool. The $16,000 pool was funded by the Works Progress Administration. 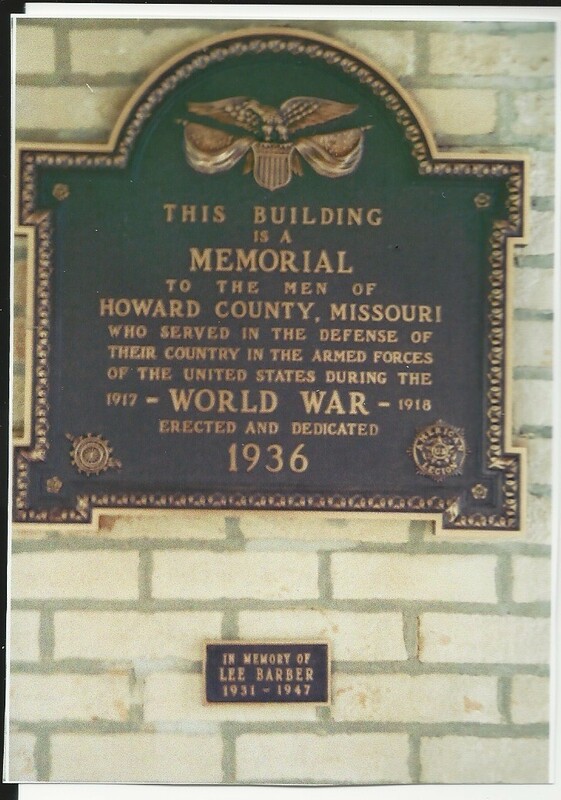 The DAR and American Legion arranged for the Howard County Court to pay for the memorial entrance hall with money from a fund which had been established by state law in 1919 to finance war memorials in each county. The cost of the entrance hall was $2,380. The original memorial plans called for the second floor of the entrance hall to contain commemorative tablets, presumably in the niches that are built into the walls there. Those niches are empty today, but an elegant bronze plaque on the wall of the second floor room commemorates Howard County soldiers who served in the Armed Forces in the Great War. The plaque features an eagle atop the US shield and the emblems of the DAR and American Legion. The building is listed on the National Register of Historic Places (1999).